I had to take a break from beading to finish off Virginia's quilt which she'd dropped off three weeks ago! 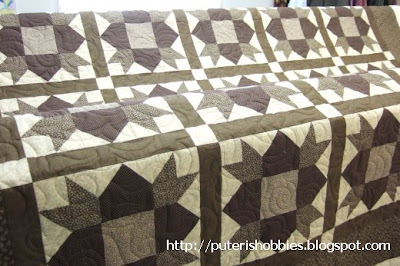 I like the combination of browns that she'd put together on this very traditional pattern. I might do one like this myself!